Not just only words but philosophy of our house. 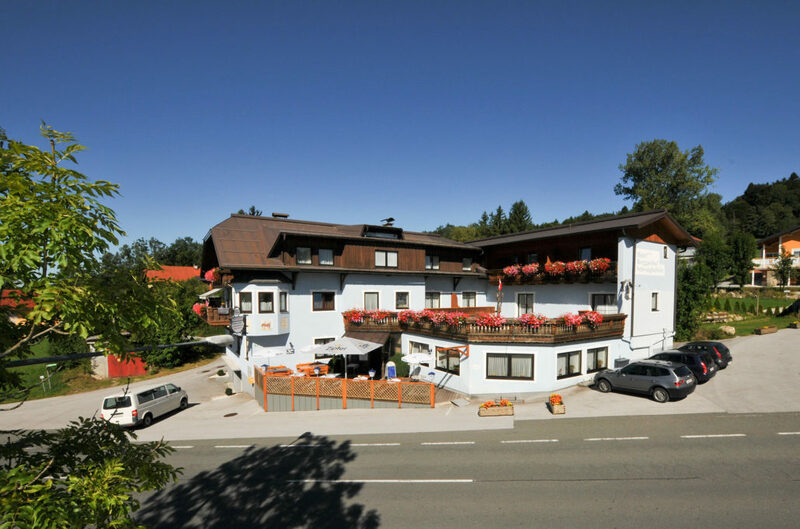 Our family managed house welcomes you – situated on the mountain of Eugendorf, at the gates of Salzburg – the famous Mozart- an Sound of Music City – and just 3 kilometers away from the Salzburgring (driving arena). We are partner for busses and coaches, for associations and clubs, motorsports-guests, fair visitors and exhibitors and tour operators. The location of our house is perfect for short trips to all sights in the surrounding. The famous Lake District is next to us as well as the city of Salzburg withs sights like Mirabell-garden or the castle “Hohensalzburg”. Also visits at the Salzburgarena, the “Elektric Love” festival or one of the ADAC Sound of Speed events are easily to reach and close to us. Business travelers, craftsmen or box-crews of the Salzburgring-drivingarena are happy because of economically priced rooms close to Salzburg. from all directions: Exit “wallersee” at the roundabout drive towards Thalgau. Later right towards Schwaighofen and Reitberg. Then you can’t miss it. Take the road B 158 direction Hof b. Salzburg, Fuschl am See, St. Gilgen, after 7 km crossroad left to Schwaighofen.